PARKLAND, Fla. (AP) — The attorney for former Broward County Sheriff's deputy Scot Peterson says accusations are untrue that he acted unprofessionally and cowardly during a school shooting that left 17 people dead. Speaking for Scot Peterson, lawyer Joseph DiRuzzo said Monday that the one-time school resource officer of the year didn't go inside Marjory Stoneman Douglas High School because it sounded like the shooting was happening outside the building. the circumstances, failed to meet the standards of police officers are patently untrue," DiRuzzo said, in part of news release. DiRuzzo said his client is confident he followed procedures and will be exonerated. Peterson resigned last week after Broward County Sheriff Scott Israel accused him of improperly failing to confront the shooter. In the news release, Peterson questions why Israel did not wait until the investigation was complete before going to the media with reports he stood outside. "It is our understanding that Sheriff Israel acknowledged that the investigation remains on-going and that '[i]nvestigations will not be rushed or asked to jump to conclusions.' But this is exactly what Sheriff Israel did, he jumped to a conclusion regarding Mr. Peterson’s performance on February 14th," part of the release reads. Some politicians say Israel needs to go because his office ignored warnings about Nikolas Cruz reported in more than a dozen tipster calls. Florida House Speaker Richard Corcoran also alleges the sheriff did not properly train Peterson. Hours after Peterson's statement was made public, officials with the Broward County Sheriff's Office confirmed they were looking into the claims. On Thursday February 22nd Sheriff Israel held a press conference a mere eight days after the tragedy and accused Mr. Peterson of failing to respond appropriately, with the clear implication that Mr. Peterson was responsible for failing to help the students of Marjory Stoneman Douglas High School. Let there be no mistake, Mr. Peterson wishes that he could have prevented the untimely passing of the seventeen victims on that day, and his heart goes out to the families of the victims in their time of need. However, the allegations that Mr. Peterson was a coward and that his performance, under the circumstances, failed to meet the standards of police officers are patently untrue. Mr. Peterson is confident that his actions on that day were appropriate under the circumstances and that the video (together with the eye-witness testimony of those on the scene) will exonerate him of any sub-par performance. · BSO trains its officers that in the event of outdoor gunfire one is to seek cover and assess the situation in order to communicate what one observes to other law enforcement. · Mr. Peterson was the first BSO officer to advise BSO dispatch that he heard shots fired. · “The first police officer that arrived on-scene was from the Coral Springs Police Department.” Mr. Peterson informed this Coral Springs Police Officer that he “thought that the shots were coming from outside.” This Coral Springs Police Officer took up a tactical position (approximately twenty yards away from Mr. Peterson) behind a tree with his rifle. 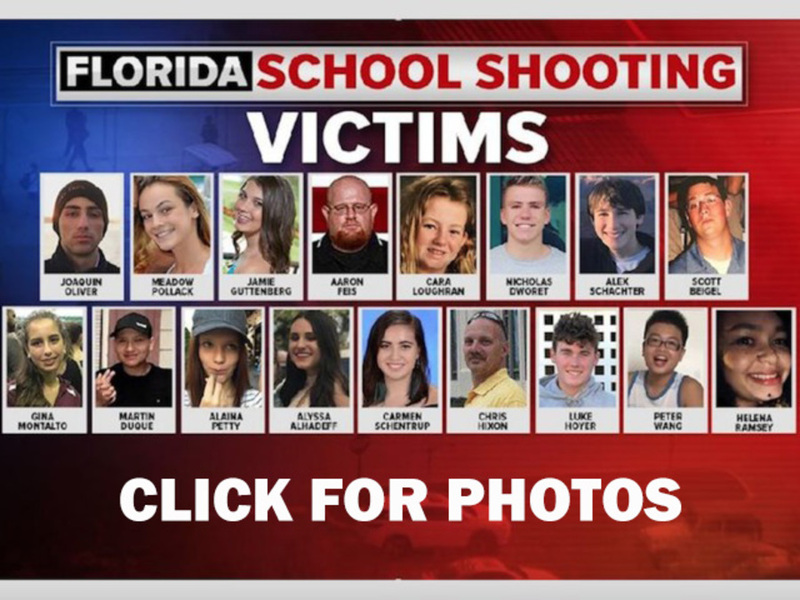 · Mr. Peterson had the presence of mind to have the school administrators go to the school’s video room to review the closed-circuit cameras to locate the shooter and the obtain a description for law enforcement. · Mr. Peterson provided his keys to the Coral Springs SWAT team so that they could enter the 1200 Building. We note that Sheriff Israel’s accusations are wholly inconsistent with the position he has taken in response to Representative Bill Hager’s criticisms. It is our understanding that Sheriff Israel acknowledged that the investigation remains on-going and that “[i]nvestigations will not be rushed or asked to jump to conclusions.” But this is exactly what Sheriff Israel did, he jumped to a conclusion regarding Mr. Peterson’s performance on February 14th even though Israel claims that “[i]t is more important for us to wait and let the investigators get it right[. ]” We question why this statement would not also apply to Mr. Peterson? Mr. Peterson is looking forward to cooperating with the Florida Department of Law Enforcement’s investigation, which we hope will detail the events of that tragic day and which we believe will ultimately clear Mr. Peterson’s name. WPTV's Merris Badcock contributed to this report.